It’s a murky autumn day here in N.E. 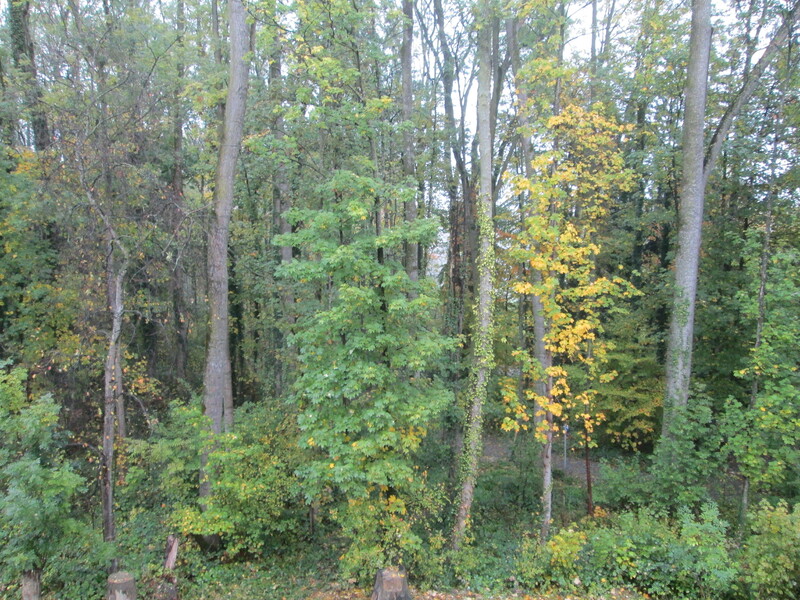 Switzerland – the leaves are falling and we can see Lake Constance from the flat again. (That’s it around the middle of the photo.) Ours is the second largest lake in the country, vaguely fish-shaped, with Germany along the northern bank, Switzerland to the south, and Austria in the east. The Rhine flows into the lake where the fish’s mouth would be, and out again in the west, from the tail fin. 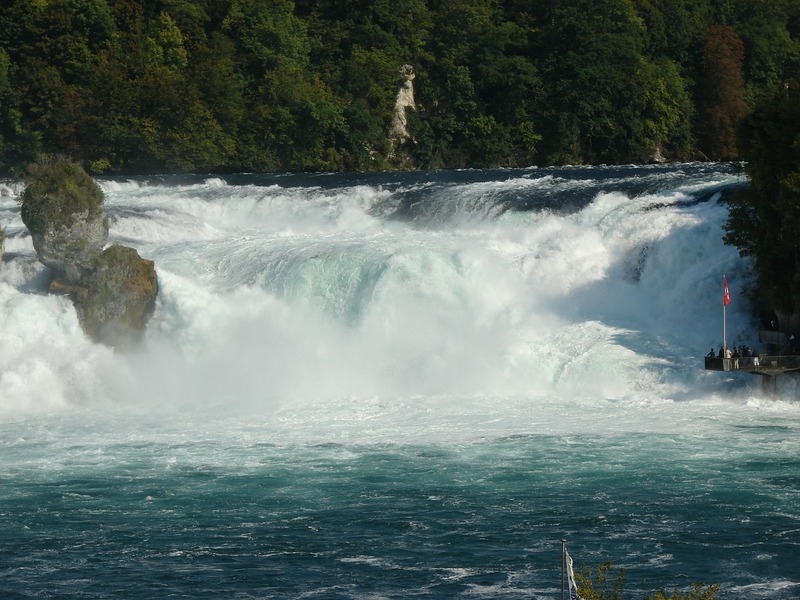 And just a few kilometres further is the largest waterfall in Europe – the Rhine Falls. It’s less than an hour’s drive from here and I’ve been there several times. It’s spectacular. 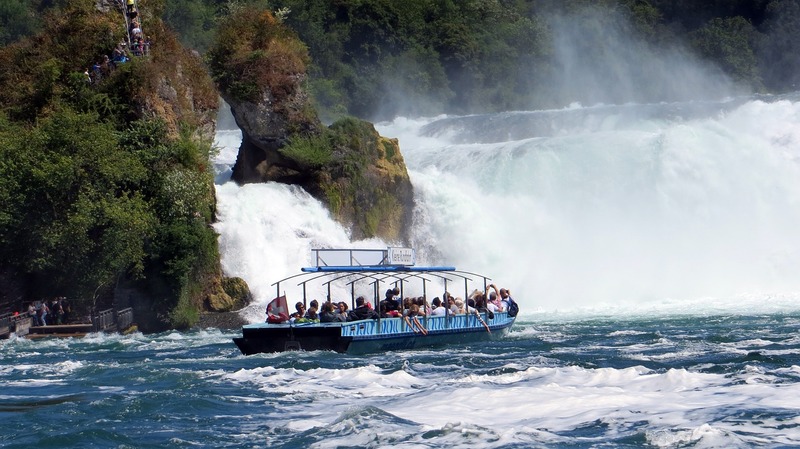 The falls are 150 metres wide and 23 metres high, and in late spring/early summer, when the snow is melting and coming down from the mountains, an average 600,000 litres of water go over the edge every second. That’s a lot of water. You can view the falls from platforms and from the banks of the river. 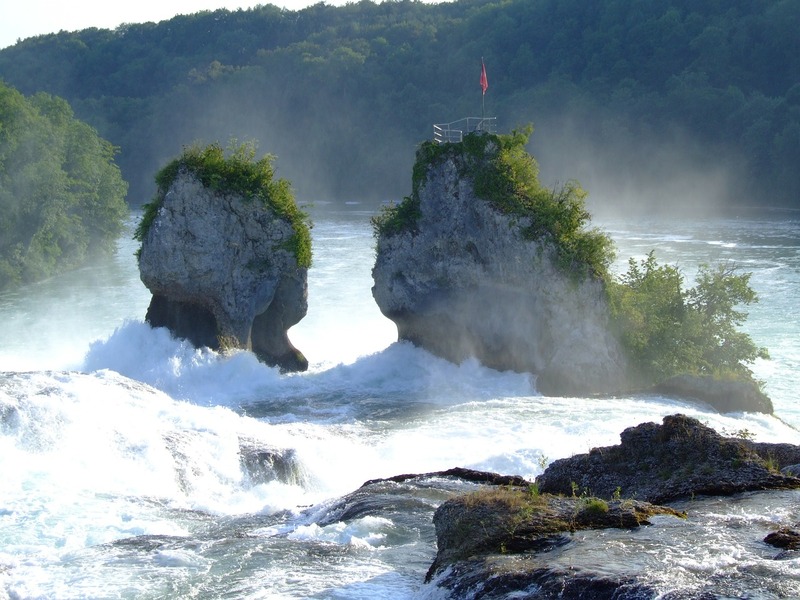 You can visit the rock in the middle of the falls and go up to the viewing platform there – again, not for the faint-hearted. I’m not sure I’d do that a second time, but it was definitely worth the climb! And all around is the sound of water – a huge amount of water – crashing over the rocks. No photo can do justice to that. I didn’t visit the falls this year, but they say we’re in for a hard winter. If there’s a lot of snow, I’ll go next summer. 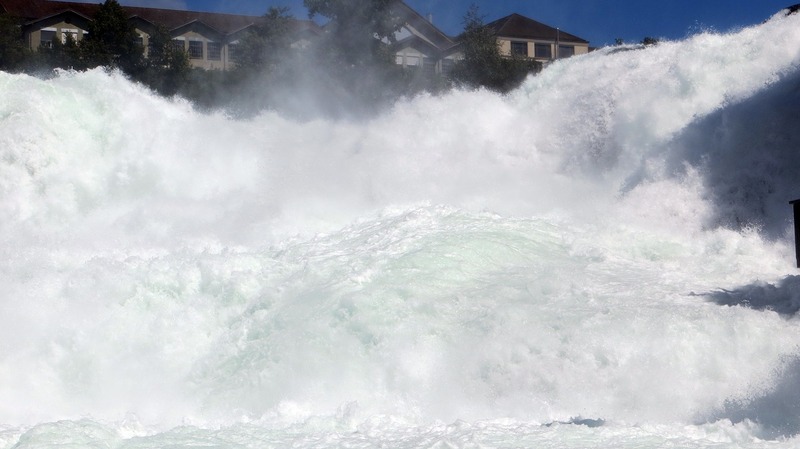 The largest recorded amount of water was in 1965, when – wait for it – 1,250,000 litres per second went over the falls. That’s almost unimaginable. 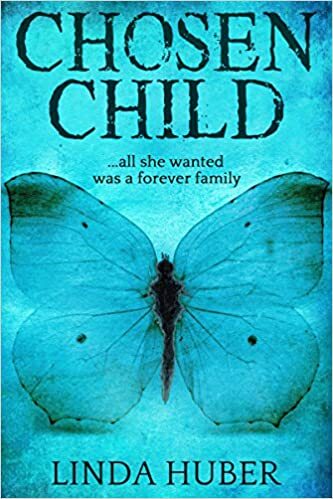 To finish off, two pieces of book news: The Attic Room has been awarded a second Kindle Select All-Star Bonus, and The Paradise Trees will be available in large print in November. My copies should arrive any day now and I can’t wait to hold them! 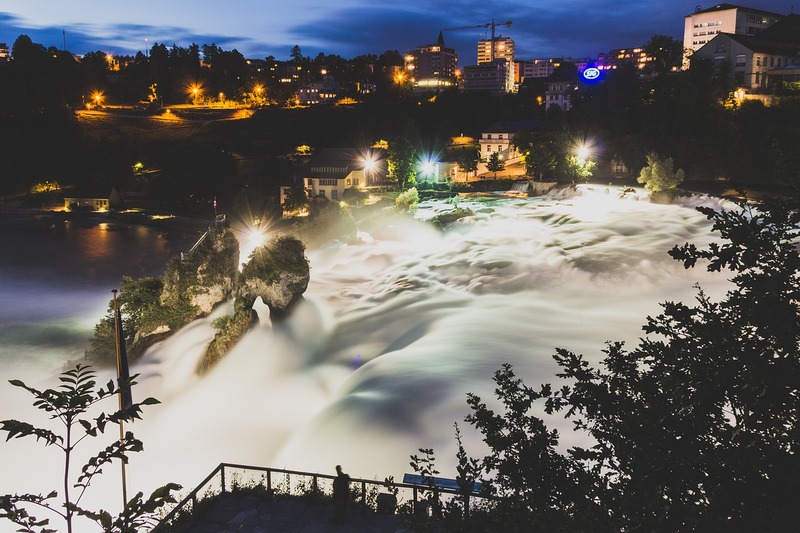 This entry was posted in Life in Switzerland, travel and tagged Kindle Select All-Star, large print, Rheinfall, Switzerland, The Attic Room, The Paradise Trees, The Rhine Falls, waterfalls. Bookmark the permalink. Not quite that close – it’s about 50 minutes in the car. But close enough to go as often as we like, really. I’ll wait till spring, now, though. There isn’t as much water in the winter. I may have to hide in the boot of your car! Oh well, back to the drawing board! Gorgeous photos! I haven’t been to the Rheinfall in a long time. It is a special place and a beautiful area. Need to visit once again! it’s one of my favourite places to take visitors – the biggest waterfall in Europe – what more do we want? Yes – it isn’t a huge waterfall like Niagara, but it’s big, and it has power. I’m lucky to live so close by. I went there once, Linda – in 1983, I think. They were spectacular – we didn’t brave a boat, though, just watched from one of the viewing platforms. It was late August/early Sept when I was there – I can’t imagine what they’re like with the rush of melting snow! Your photos are spectacular. Most of them are stock photos, Helen. I’m no photographer! I prefer the viewing platforms, you get a better overview of the whole thing. I’m looking forward to going back next year! Wow! I’m adding this to “my list.” Great photos. This is a refreshing post to read since we’ve been having 85+ degree weather here in Los Angeles. I wanna be in that boat today. Goodness, that’s hot for October! We had 85+ in the summer, but those days are long gone. It’s about 55 now. Hope you have some nice autumn weather eventually! Incredible photos. Definitely added to my bucket list of places to visit. It’s an incredible place – I’ll go again next spring! Switzerland is gorgeous. I never did get used to the sound of the language (unless it was French or Italian depending on where we were) but the gorgeous landscapes and quaint old towns……oh how I miss it. Spent a few months there over the course of 3 years when my children were young and my husband had a Swiss client. Those were the days….I was just outside of Luzern and would take my 1 and 3 year old on day trips every day. We would travel by train and explore by foot. Something else I need to write about. Thanks for the reminder, your photos are stunning! I’ve been here since I was in my twenties – it’s a fabulous place to live. Haven’t been to Luzern for ages but it’s a lovely town. The lakeside towns are great – my son lives in Rapperswil. I found the language tricky at first too, but after all this time I’m used to it! Thanks for showing me this incredible sight. I’ll probably never get the chance to see it in person. Ever since I took German in college I’ve wanted to see the Rhine, but I never got farther than the area around the airport to catch a connecting flight on my one trip to Germany. The Falls are amazing – there are some lovely videos on Youtube. There are so many place I’d like to visit too, but time and money are a problem. Have a look at the Pacific for me!